Born LaDonna Gaines at the end of 1948, Donna Summer took her stage name from her one-time married name. Having entered into what would be about a three-year marriage to Helmuth Sommer in 1973, she anglicized the last name, and it stuck. It was around late 1979, just as Casablanca was releasing On the Radio: Greatest Hits Vol. I and II, that Donna Summer was feeling some dissatisfaction. Perhaps it was because she had conquered disco so completely, or perhaps it was because it was obvious that the Disco Era was quickly coming to an end, but regardless of the reason, Ms. Summer was ready to branch out into different styles of music. Unfortunately, Casablanca didn’t share that desire, and so, because of that and other reasons, Donna Summer left for Geffen Records in 1980, becoming the first artist signed to the new label. Now with a new label, Ms. Summer would quickly release The Wanderer, an album featuring several non-disco musical styles ranging from new wave to gospel. 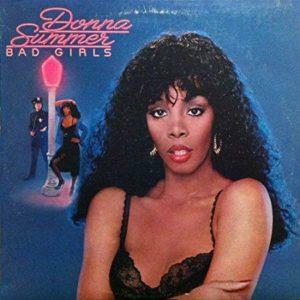 The title track would climb to #3 on Billboard’s Hot 100, and seemingly everything was going well for Donna Summer. But where did that leave Casablanca? They had, after all, already just released a greatest hits collection (though there was talk of another one in 1980). What else could they do? The choice Casablanca made was to milk Donna Summer’s last Casablanca studio album, Bad Girls, for all it could. Bad Girls was, to put it mildly, huge. A double album, it was released in the spring of 1979, when disco was ubiquitous. The album had spawned two number one hits, the title track and “Hot Stuff” (which were, at one point, both in the top three), and a number two, “Dim All The Lights”. The album had gone double platinum and was also a success with the critics. And, being a double album, it had several more tracks available for release as singles, so that’s what Casablanca did. Casablanca released a couple of tracks, “Sunset People” and “Our Love”, in different international markets to start. But what became the sixth single from Bad Girls, “Walk Away”, was released to the American market. Yet another love-gone-wrong song, “Walk Away” perhaps somewhat misleadingly sounds rather upbeat due to its disco sound. And though the American music scene had changed drastically since the release of Bad Girls, “Walk Away” still managed to get some traction on the charts. Entering the Hot 100 at #82 for the week ending September 13, 1980 (chart | magazine), “Walk Away” debuted just one week before “The Wanderer” did, though “The Wanderer” debuted the next week at a higher position than that of “Walk Away” in its second week. By October 18, with “The Wanderer” still climbing and about to break into the top ten, “Walk Away” peaked at #36 (chart | magazine). “The Wanderer” was still holding at its peak position when “Walk Away” dropped out of the Hot 100 after 11 weeks, replaced in the Hot 100 by the follow-up to “The Wanderer”, “Cold Love”. Advantage, Geffen Records. Casablanca Records was pretty much shut down in the early 1980s by its then-parent company, PolyGram, but its successor, Mercury Records, scored one last victory in its battle with Donna Summer when it was determined that she owed Casablanca one more record to fulfill her contract, and that record, She Works Hard For The Money (released by Mercury), yielded her biggest hit of the decade. Donna Summer, of course, kept recording through the 1980s and 1990s, eventually signing with, of all the labels out there, Mercury. In the 2000s, she signed with Sony Music’s Burgundy Records and released one final studio album before her unfortunate, premature death from lung cancer in 2012. Of course, with so many big hits in the 1970s and 1980s, it’s easy for a lower charting song like “Walk Away” to fall by the wayside, and that’s exactly what has happened. I’m not sure I remember hearing it on the radio in 1980, let alone since then. It would be nice to hear it somewhere. * Sorry to have to link to a single version; Amazon doesn’t have the full 17-minute version available as an MP3. ** Yes, I’ve glossed over quite a bit of her heyday, but I think most of my readers will remember the many hits she had during that time.